1 Chen, W., Han, C., Xie, B., Hu, X., Yu, Q., Shi, L. et al. Induction of Siglec-G by RNA viruses inhibits the innate immune response by promoting RIG-I degradation. 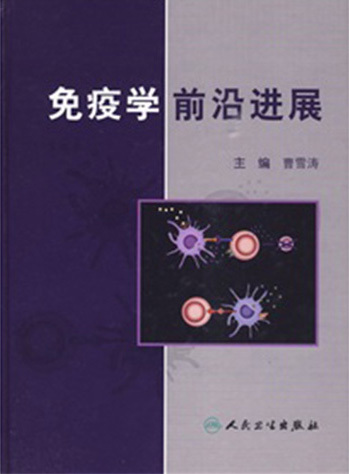 Cell 152, 467-478, doi:10.1016/j.cell.2013.01.011 (2013). 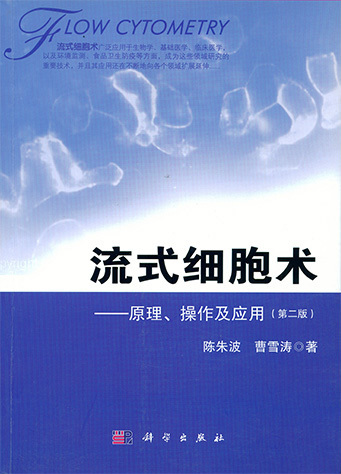 2 Xia, M., Liu, J., Wu, X., Liu, S., Li, G., Han, C. et al. Histone methyltransferase Ash1l suppresses interleukin-6 production and inflammatory autoimmune diseases by inducing the ubiquitin-editing enzyme A20. Immunity 39, 470-481, doi:10.1016/j.immuni.2013.08.016 (2013). 3 Chen, T., Yang, M., Yu, Z., Tang, S., Wang, C., Zhu, X. et al. Small GTPase RBJ mediates nuclear entrapment of MEK1/MEK2 in tumor progression. Cancer cell 25, 682-696, doi:10.1016/j.ccr.2014.03.009 (2014). 4 Liu, J., Han, C., Xie, B., Wu, Y., Liu, S., Chen, K. et al. Rhbdd3 controls autoimmunity by suppressing the production of IL-6 by dendritic cells via K27-linked ubiquitination of the regulator NEMO. Nature immunology 15, 612-622, doi:10.1038/ni.2898 (2014). 5 Hou, J., Zhou, Y., Zheng, Y., Fan, J., Zhou, W., Ng, I. O. et al. Hepatic RIG-I predicts survival and interferon-alpha therapeutic response in hepatocellular carcinoma. Cancer cell 25, 49-63, doi:10.1016/j.ccr.2013.11.011 (2014). 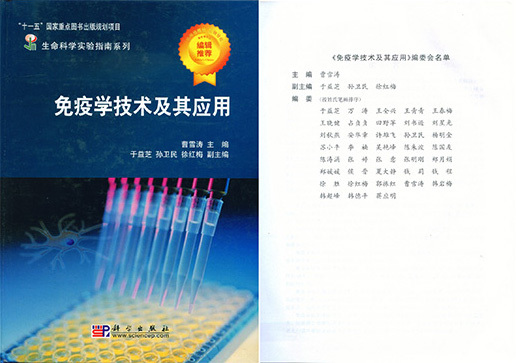 6 Wang, P., Xue, Y., Han, Y., Lin, L., Wu, C., Xu, S. et al. The STAT3-binding long noncoding RNA lnc-DC controls human dendritic cell differentiation. Science (New York, N.Y.) 344, 310-313, doi:10.1126/science.1251456 (2014). 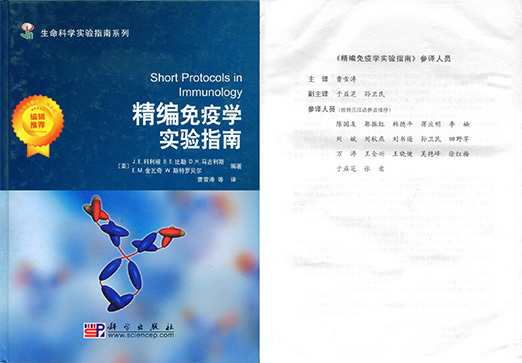 7 Yang, M., Chen, T., Li, X., Yu, Z., Tang, S., Wang, C. et al. K33-linked polyubiquitination of Zap70 by Nrdp1 controls CD8(+) T cell activation. Nature immunology 16, 1253-1262, doi:10.1038/ni.3258 (2015). 8 Zhang, Q., Zhao, K., Shen, Q., Han, Y., Gu, Y., Li, X. et al. Tet2 is required to resolve inflammation by recruiting Hdac2 to specifically repress IL-6. Nature 525, 389-393, doi:10.1038/nature15252 (2015). 9 Cao, X. Self-regulation and cross-regulation of pattern-recognition receptor signalling in health and disease. Nat Rev Immunol 16, 35-50, doi:10.1038/nri.2015.8 (2016). 10 Ding, Y., Guo, Z., Liu, Y., Li, X., Zhang, Q., Xu, X. et al. The lectin Siglec-G inhibits dendritic cell cross-presentation by impairing MHC class I-peptide complex formation. Nature immunology 17, 1167-1175, doi:10.1038/ni.3535 (2016). 11 Li, X., Zhang, Q., Ding, Y., Liu, Y., Zhao, D., Zhao, K. et al. Methyltransferase Dnmt3a upregulates HDAC9 to deacetylate the kinase TBK1 for activation of antiviral innate immunity. Nature immunology 17, 806-815, doi:10.1038/ni.3464 (2016). 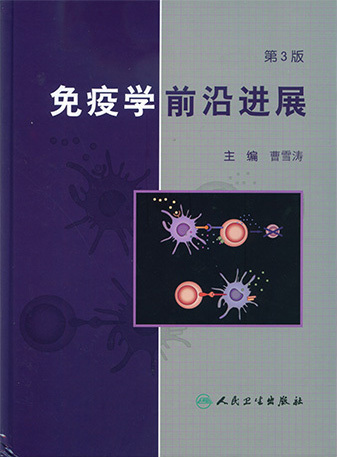 12 Liu, J., Qian, C. & Cao, X. Post-Translational Modification Control of Innate Immunity. Immunity 45, 15-30, doi:10.1016/j.immuni.2016.06.020 (2016). 13 Liu, Y., Gu, Y., Han, Y., Zhang, Q., Jiang, Z., Zhang, X. et al. Tumor Exosomal RNAs Promote Lung Pre-metastatic Niche Formation by Activating Alveolar Epithelial TLR3 to Recruit Neutrophils. Cancer cell 30, 243-256, doi:10.1016/j.ccell.2016.06.021 (2016). 14 Chen, K., Liu, J., Liu, S., Xia, M., Zhang, X., Han, D. et al. Methyltransferase SETD2-Mediated Methylation of STAT1 Is Critical for Interferon Antiviral Activity. Cell 170, 492-506 e414, doi:10.1016/j.cell.2017.06.042 (2017). 15 Han, D., Li, J., Wang, H., Su, X., Hou, J., Gu, Y. et al. Circular RNA circMTO1 acts as the sponge of microRNA-9 to suppress hepatocellular carcinoma progression. Hepatology (Baltimore, Md.) 66, 1151-1164, doi:10.1002/hep.29270 (2017). 16 Yang, Y., Zhou, Y., Hou, J., Bai, C., Li, Z., Fan, J. et al. Hepatic IFIT3 predicts interferon-alpha therapeutic response in patients of hepatocellular carcinoma. Hepatology (Baltimore, Md.) 66, 152-166, doi:10.1002/hep.29156 (2017). 17 Zheng, Q., Hou, J., Zhou, Y., Li, Z. & Cao, X. The RNA helicase DDX46 inhibits innate immunity by entrapping m(6)A-demethylated antiviral transcripts in the nucleus. Nature immunology 18, 1094-1103, doi:10.1038/ni.3830 (2017). 18 Wang, P., Xu, J., Wang, Y. & Cao, X. An interferon-independent lncRNA promotes viral replication by modulating cellular metabolism. Science (New York, N.Y.), doi:10.1126/science.aao0409 (2017). 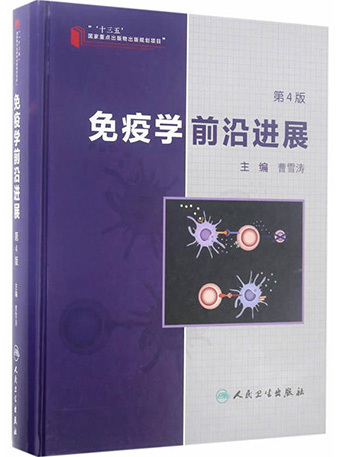 19 Shen, Q., Zhang, Q., Shi, Y., Shi, Q., Jiang, Y., Gu, Y. et al. Tet2 promotes pathogen infection-induced myelopoiesis through mRNA oxidation. Nature 554, 123-127, doi:10.1038/nature25434 (2018).